When you're investing in new software, even if it's free and the investment is in time, you want to get the maximum value. It's ideal if this software does more than just one thing -- and TalentLMS does many things, and well. Here's another set of use cases for a great cloud-based LMS, including microlearning with TalentLMS. In the physical world, tools have a limited, specialized use -- with few exceptions, for things like the Swiss army knife and WD-40. In the computing world, however, software tools, especially when designed to be flexible, can and do serve many purposes. Kind of like your PC is a word processor, an accounting tool, a media player, a gaming machine, and many more things. 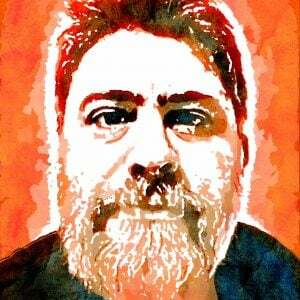 Often, you get several functionalities even in the same piece of software. 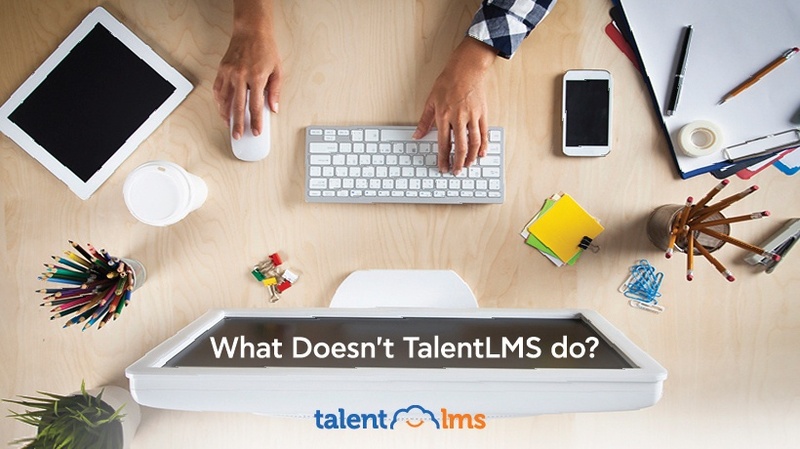 Take TalentLMS, for example. Nominally it is a training platform, but its flexible design and extended feature set make it an excellent choice for other uses cases, from Employee Onboarding to Knowledge Retention and Commercial eLearning. In the last article we examined exactly how TalentLMS can be used for each of the above uses cases, but that list was far from exhaustive. Here are a few more. Let us start with microlearning with TalentLMS. TalentLMS is an excellent choice when it comes to microlearning -- learning on the go, or even offline, and digesting information in small chunks, a method that can be extremely effective, and that is increasingly popular for all kinds of training, from the enterprise to language learning. To take advantage of microlearning with TalentLMS, you can download (for free) the TalentLMS apps for Android and iOS. Those are fully native applications, meaning faster, more battery efficient, and better at leveraging your smartphone’s capabilities, with a UI design that focuses on microlearning and mobile learning use cases (read: distraction-free environment, focusing on content). TalentLMS for mobile offers a great connected mobile experience, but also full offline operation, so that learners can download their lessons and study on a flight or anywhere else there’s no mobile connection (or, more importantly, where data plans are crazy expensive, as is the case in many developing countries). In fact, the TalentLMS app will even sync their progress to the Cloud when they get back online. Extended Enterprise, a term which nowadays applies to an increasing number of companies, refers to businesses whose success depends on a wider network of partners -- be it franchisees, authorized dealers and resellers, support centers, various kinds of subsidies, etc. An Extended Enterprise’s training needs extend beyond internal employees, to their partner network and associates. And while it’s common for such enterprises to just send training material (leaflets, operating manuals, sales guidelines, etc) to their partners and leave the training part up to them, an even more comprehensive strategy would be for the parent company to leverage eLearning technologies and setup a single, centrally managed, training program. This way they can ensure its quality and scope, have central control over the training schedule and content updates, and gain an oversight of the learner’s progress. Apart from being a great training platform for enterprise use, TalentLMS has several features that make it perfect for Extended Enterprise training as well, starting with its very deployment model. 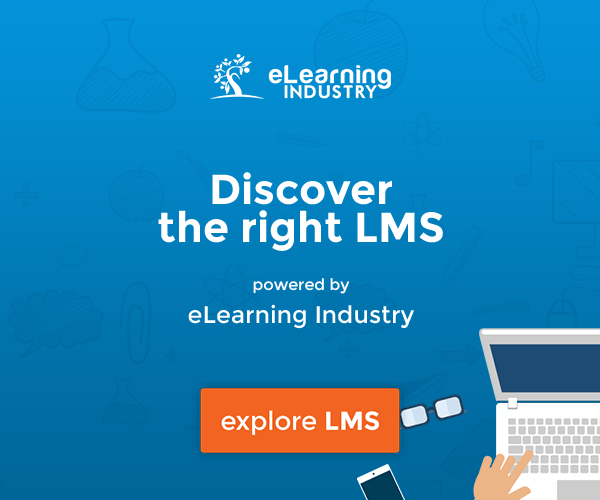 Being a Cloud-based LMS, TalentLMS has been built from the start to handle millions of users, and be a turn-key solution to every enterprise training need without the any installation. To start delivering your Extended Enterprise training you only need to open a new TalentLMS account, something that takes less than a minute (in fact, if you already have a TalentLMS account for your internal corporate training, you can just use that for Extended Enterprise training too). As for upgrades, backups, and general scalability and reliability -- that’s for the TalentLMS Cloud operations team to handle. That said, the most powerful feature of TalentLMS when it comes to Extended Enterprise training is its Branches feature, which allows you to build independent (but centrally managed) learning portals for each of your network partners, complete with their own branding, content, learners, configuration, etc. -- and even their own time zone, so training events and times are adjusted for the partner’s country. Blended learning, or Instructor-Led Training (ILT), is the practice of combining traditional, classroom-based training with online learning. Depending on your business needs, the focus might be more on the classroom, in-person training (e.g. if you are a martial arts school or a driving instructor), or it might be more into the eLearning side of things (if you are like the average enterprise or educational institution). With blended learning you can have the best of both worlds, and TalentLMS comes with all the tools you’ll need for that. 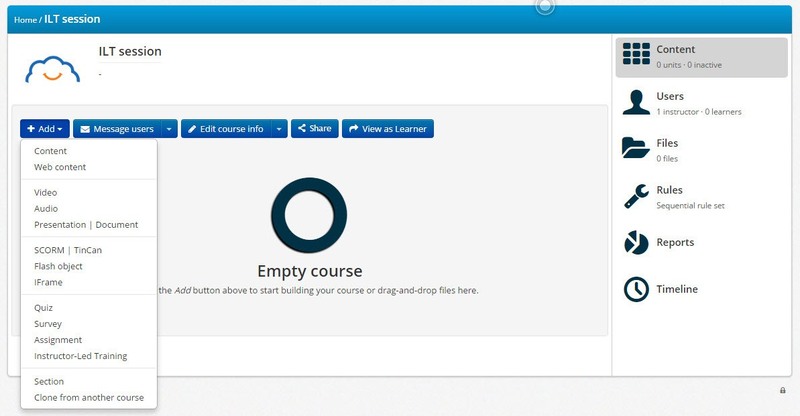 It also makes it seamless to combine and manage those two kinds of learning from your eLearning portal: An instructor just needs to create an Instructor-Led Training "Unit" (corresponding to a lesson), and add to it one or more "Sessions". Sessions correspond to lectures and meetings that take place in real-time, either in a classroom (like in traditional training) or online (webinars). TalentLMS can show the upcoming ILT sessions to students on their homepage, and allow them to register to any session that they are interested in. If it’s a webinar, it will also show them a "Join Webinar" link when the time comes, allowing them to directly connect and view the web-based training session. In fact, TalentLMS is also smart enough to automatically manage capacities for you (e.g. to avoid overbooking a physical classroom with too many learners). Unlike physical tools, where there are constraints of size, weight, etc., properly designed software can have many uses, and be good at all of them, without burdening the user with a complex interface. 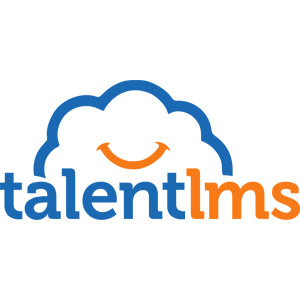 TalentLMS is a platform that is an equally capable tool for many eLearning-related use cases. Everything from corporate training and instructor-led training to employee onboarding, all are seamless and easy operations. And microlearning with TalentLMS? You're in for a treat!